1. Prepare the required ingredients. In a mixie or food processor, add all the chopped items and blend to a fine paste with little water. In a kadhai, heat oil and temper with mustard, urad dhal and dry red chilli. 2.Add the tomato paste to the kadhai and keep stirring in between. Add salt and turmeric powder. Saute for 8-10 minutes in medium heat. Can be paired with idli and dosa. 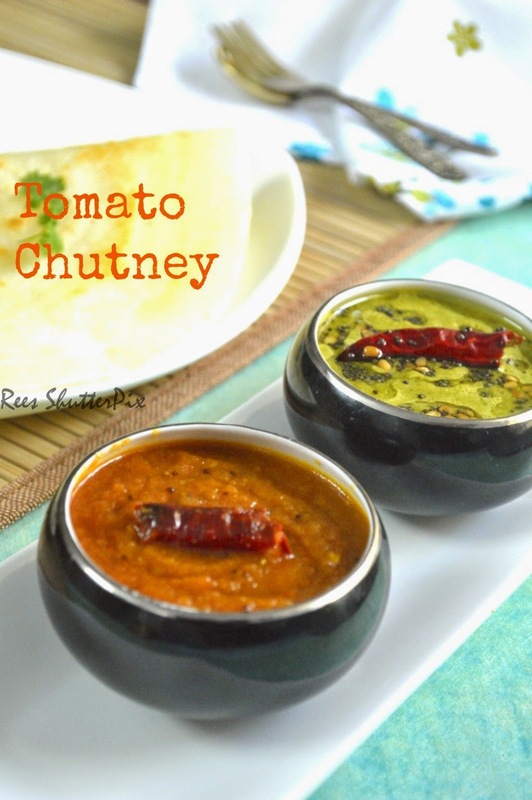 I love these easy chutney. Yum!